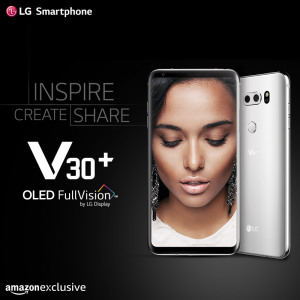 LG V30+ the flagship phone from LG was the most awaited launch. The entire nation was waiting for it eagerly and finally on 13th December, it was officially unveiled. Compared to other phones in this segment, it offers some of the most unique features and hardware configuration. 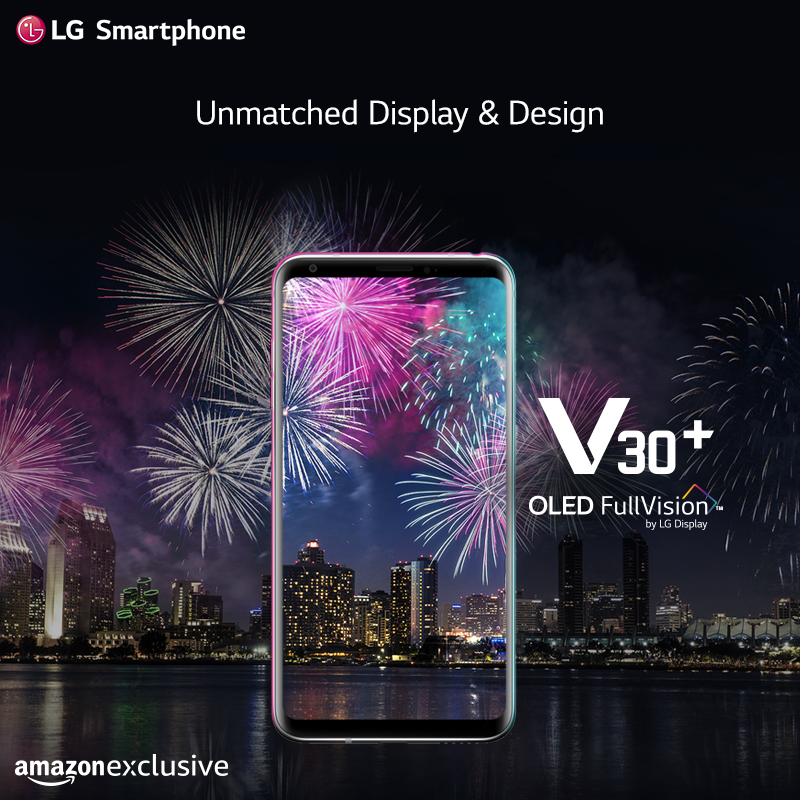 The latest from LG boasts of OLED FullVision Display,f/1.6 aperture crystal glass lens, wide angle cameras, military standard durability certification, Immersive display and sound technology among other such impressive specifications. Let’s take a look as to what this phone brings on the table. 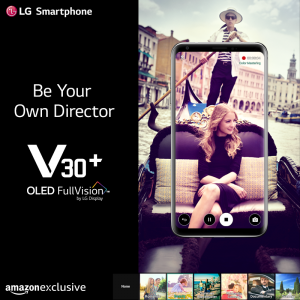 The V30+ compared to its predecessor doesn’t come with a secondary screen. The 6-inch phone with a resolution of 1440×2880 has an OLED panel. 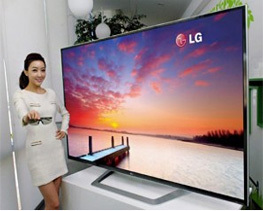 It supports HDR10 content for its vivacity and better contrast. Experience breath taking color accuracy along with revolutionary technology The screen has rounded corners and is really sleek. With Corning Gorilla Glass 5 on the front, it gives the phone a more seamless look. The front as well as back is slippery and reflective in nature. Last but not the least after passing 14US military tests, it is granted US MIL-STD 810G certified. It comes with a dual sim slot. Backed with a Snapdragon 835 processor, 4GB of RAM, 128GB storage, Bluetooth 5.0, Wi-Fi ac, a 3300mAh battery, Quick Charge 3.0, wireless charging, this device also offers IP68 water & dust resistance. LG V30+ hones a 16-megapixel sensor which has f/1.6 aperture along with a 71-degree wide-angle lens. 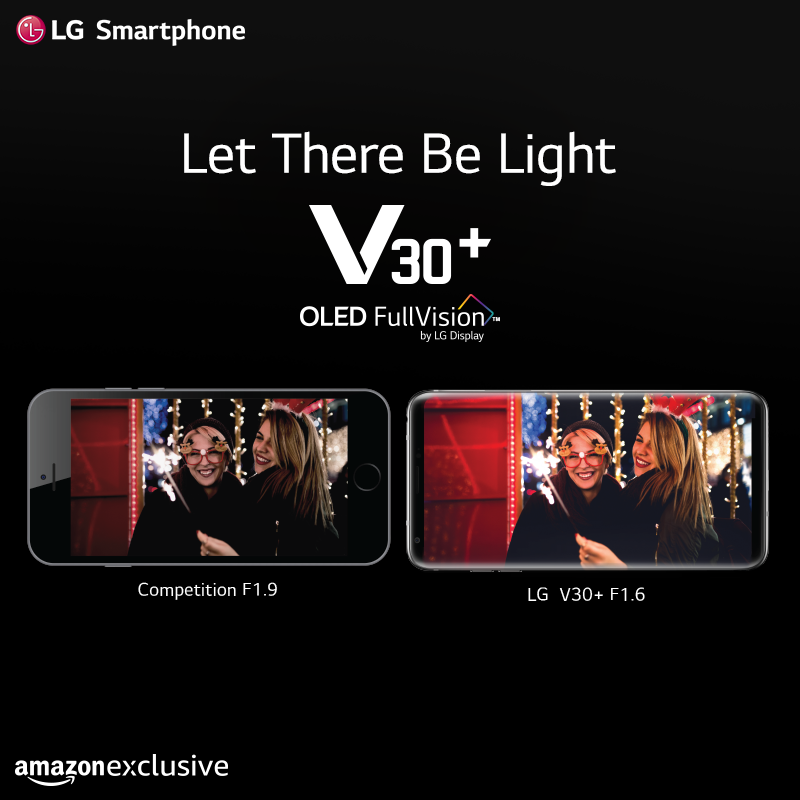 This specification is said to capture low light images and videos better than conventional cameras. A secondary rear 13Megapixel camera with a 120-degree wide-angle lens and an aperture of f/1.9 helps in capturing a wider view. The front camera comes with a 90-degree wide-angle lens for capturing better selfies. For video, the camera uses its primary lens and provides 16 presets or effects for that professional look and quality. 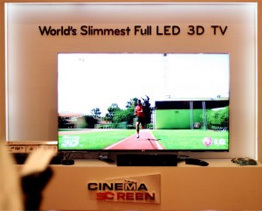 LG-Cine LOG profile and HDR10 sensor create dramatic film styles for truly cinematic storytelling. Now get total zoom control with point zoom. Lights, Camera, Zoom! Preset zoom speed, location, and motion for a shot straight out of the movies. Smooth and controlled Point Zoom lets you shoot like a pro cinematographer. The audio quality has always been of prime importance when it comes to experiencing clear acoustics and boombastic beats. It offers MQA (Master Quality Assured) support for high-quality audio streaming and a high-end DAC for audio playback. For the complete experience, a high-end LG QuadPlay headset is also included. You can record pristine Hi-Fi sound every time! The directional receiver in LG V30+ acts as mic that captures superb distortion-free sound, even when the surrounding is loud and noisy. Now adjust audio as per your tastes and environment. 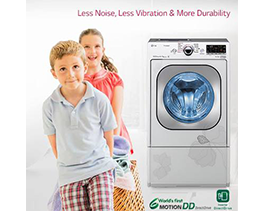 The LG’s Sound Presets and Digital Filters add a professional touch for a richer, fuller music at home or on the go. The Google Assistant makes day to day better and easier – get answers, manage tasks, find photos, and book reservations. Just say OK Google and it will get started. 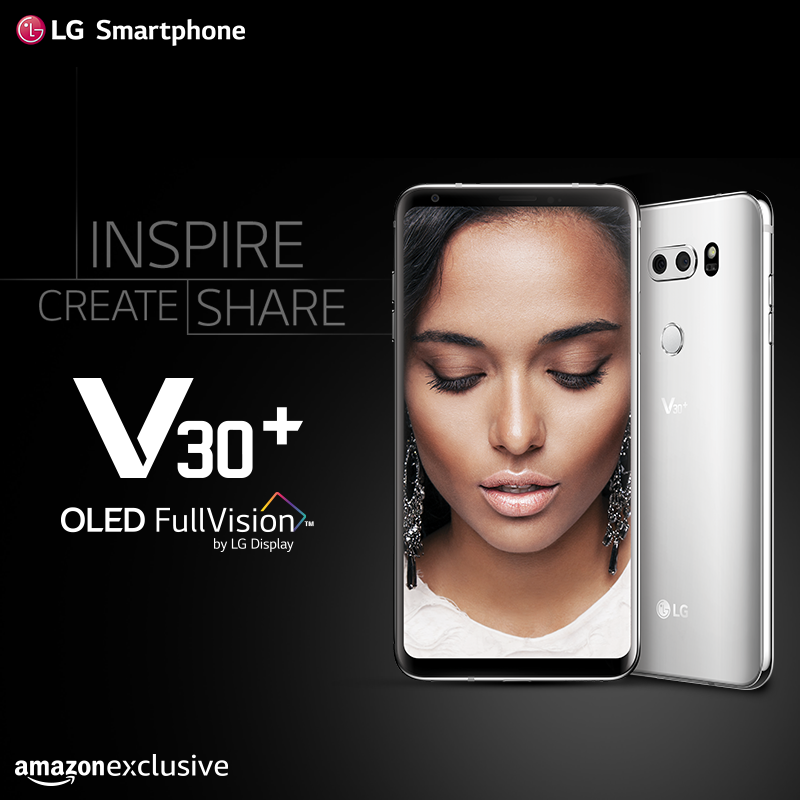 The V30+ is powered with a 3,300mAh large-size battery also enables wireless quick charge; It supports Qualcomm Quick Charge 3.0, USB-PD and 2 kinds of wireless charge. 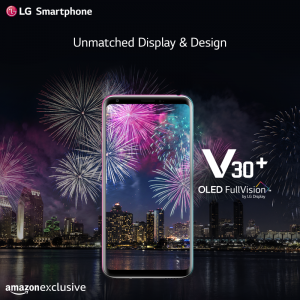 The LG V30+, the phone that delivers more colors to your life has undergone and passed 14 US military tests, making it US MIL-STD 810G compliant device. Now, you can carry your smartphone to the pool side or to the beach without worries! It has IP68 water and dust resistant. For safety purpose, the phone loaded with a 3300mAh battery has passed around 20 tests. Why you must Buy it? 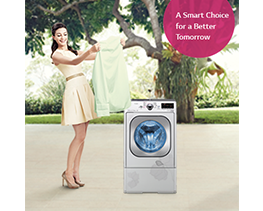 We have been using Your home appliances as die hard fsns of LG and proudly Tom Tom about it to all in our social circle. Unfortunately, we discovered the insensitive side of you. 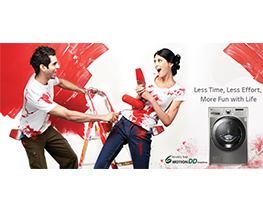 Our Washing machine fully dry bought in 2011 malfunctioned. After many days of uncertain responses from service center we are left at cross roads that the spare parts are not available and neither any exchange is possible. 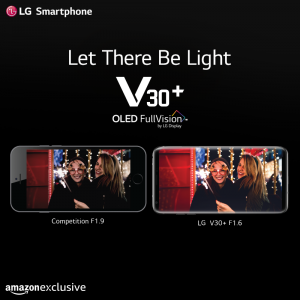 With such bitter experience and harassment we have undergone over the last 2 weeks, I recommend people any LG product to think twice. Do not get carried away by their lucrative ads or pricing but go with a company that respects loyal customers. Regards Raveen Bhatnagar 7738034190.